Ancient woodland is one of our richest and most precious habitats. It’s a complex ecosystem, with unique micro-habitats and specialist species not found elsewhere, possibly dating back for millennia. It has great historic and cultural significance too, as a backdrop to human activity and settlement over centuries: an open book to our past. Yet the bulk of post-glacial woodland in Britain was cleared long ago, and by the end of World War I, the remaining woodland cover was severely depleted. This led to the formation of the Forestry Commission in 1919, and a national policy of felling “unproductive” native woodland and “improving” them by planting faster growing softwoods. It was incredibly successful, as exemplified by the sheer extent of converted woods. In Clwyd, for example, over 60% (around 8,000ha) of remaining ancient woodland was cleared and re-planted, and 50% of that is still predominately dense conifers today. Conversion of ancient semi-natural woodland to plantations was purposely focused on the most productive, fertile native woodland sites. 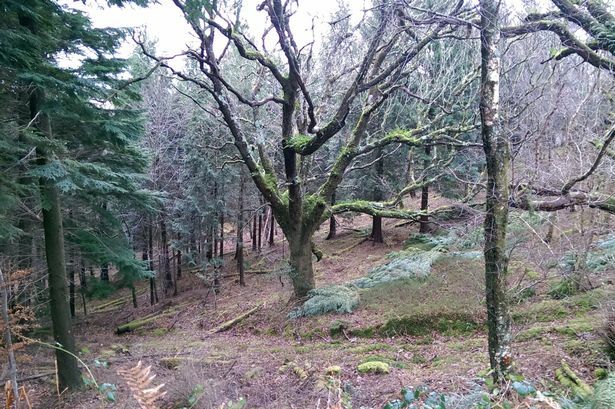 This perpetuated a perception amongst commercial foresters that native hardwoods are unproductive, a view which is based mainly on what remains – the most difficult, steepest, highly infertile sites. As an unintended consequence, the diversity of those woodland ecosystems declined significantly under year-round shade. By the 1980s Britain’s old native woodlands were finally becoming more widely valued by decision-makers. Policy changes were made to prevent further loss, and was helped by new concepts like “ancient woodland”. The idea was that woods with longer continuity of habitat tend to be ecologically richer than more recent woods. Today, ancient woodland sites cover just 2% of the UK. Half of these are under shady plantations. These are ones referred to as Plantations on Ancient Woodland Sites (PAWS) – damaged, but not written-off. Many plant species are biological indicators of ancient woodland, and some also have a utilitarian value to humans. One example is the tree lungwort lichen – recent research has found potential for it to cure diseases affecting humans and our livestock. Lobaria contains agents which degrade the prion-proteins related to often fatal neurodegenerative wasting diseases, including scrapie in sheep, mad cow disease (BSE), and the human variant Creutzfeldt-Jakob disease. The bad news is that this lichen is having a hard time of late, declining across Europe in part due to the loss and damage of ancient woodland habitat. The good news is that converting our ancient woodland sites to conifer crop plantations is, hopefully, now mainly a thing of the past. Government grants are no longer available to plant conifers on these sites (this was still happening in Better Woodlands for Wales schemes as recently as a few years ago). We can’t plant new ancient woodland. So we must see restoration as a priority. There is an urgency to get started, but we must not rush the process. Quickly exposing sites by clearing conifers and replanting them with “site natives” is not the answer, although it might sometimes be an option. By being tolerant and using coniferous canopy cover as part of the process, we can increase both ecological and economic resilience. Our approach is about being pragmatic. One size does not fit all. Thanks to Heritage Lottery Funding (HLF), the Trust is now able to support and encourage other landowners to do this. We have a dedicated team focusing on 10 priority areas around the UK (with three in Wales), and over the next four years we aim to provide practical advice to over 1,000 woodland owners. We aim to visit and assess the condition of around 25,000ha of threatened ancient woodland sites, and facilitate moving 10,000ha into restoration management. The project also aims to run events and workshops to raise the profile and knowledge of ancient woodland restoration. By August this year we had already engaged with more than 120 landowners, with over 1500 ha of ancient woodland assessed. In Wales, just under 700ha has been surveyed and assessed, with approximately 225ha already indicating an intention to move into restoration management. Bringing thousands of lost ancient woods back to life is a huge undertaking, and the Woodland Trust is keen for other organisations and individuals to get involved with this ambitious project. We have a narrow window of opportunity and we must act now. WHAT’S THE LINK BETWEEN WOODLANDS AND THE MIDDLE EAST CRISIS? Prime Minister David Lloyd George admitted that Britain nearly lost the First World War more through lack of timber, rather than a lack of food. 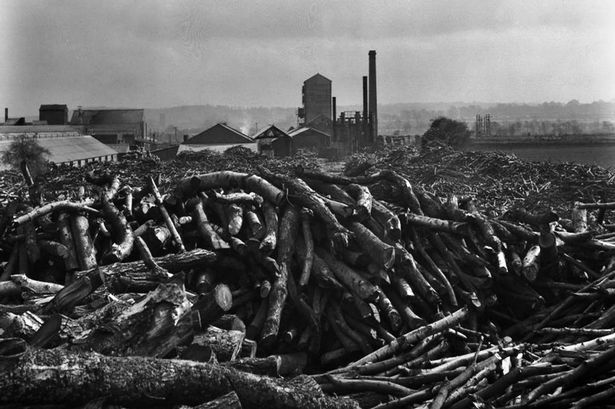 Wartime timber uses ranged from pit-props in mining, to producing chemical compounds in wood distillation plants. Acetone was needed to produce cordite, a powerful propellant explosive used for firing shells without tell-tale smoke. Wood distillation was the only way Britain could make acetone until Russian-born biochemist Chaim Weizmann discovered how to produce it using bacterial fermentation. Given our inadequate wood supply, the British Government were keen to establish a close relationship with Weizmann, encouraging him to develop the process at Manchester University. Weizmann was also a Zionist, and a key proponent of a Jewish homeland in Palestine. Lloyd-George and Foreign Secretary Arthur Balfour, grateful to Weizmann, consequently supported his Zionist aspirations. The Balfour Declaration was signed in 1917, stating the UK government’s support for establishing a national home for Jewish people in Palestine. Chaim Weizmann later became the first president of the newly formed state of Israel. An interesting link: could Britain’s lack of woodland in the early 1900s be partly responsible for international political problems today? Author Alastair Hotchkiss is Ancient Woodland Restoration Officer with the Woodland Trust (Coed Cadw in Wales). A longer version of this article appears in the Winter edition of the quarterly magazine Natur Cymru – the Nature of Wales. Annual subscription is £18 (or £17 by direct debit). See www.naturcymru.org.uk or 0300 0654867.